Bowel Cancer is the second largest cause of cancer deaths in Australia. 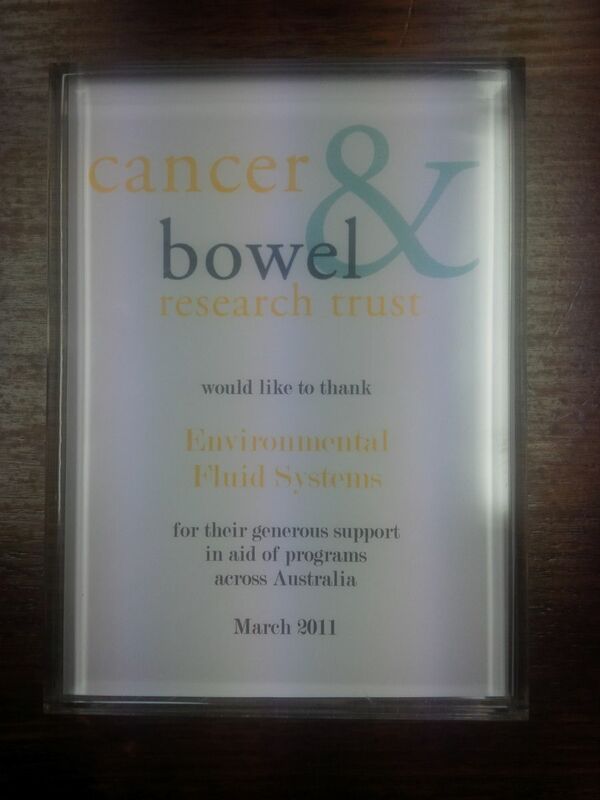 Environmental Fluid Systems is proud to help fund the Research of Bowel Cancer, assisting the experts to find ways of reducing the number of people affected. Bowel Cancer Australia is a national charity with a mission to decrease the impact of bowel cancer in our community and to reduce incidence, death and suffering associated with bowel cancer in Australia.